A conversation with a friend a few days ago has made me think about another frame in which to consider action and effect. One which acknowledges the complex, entangled nature of our social relationships and the delicate balance of forces that hold that web of relationships together. To whom do I have (mutual or reciprocal) obligations and what are the nature of those obligations? Will my actions demonstrate my enacting those obligations or an avoidance of them? What are my responsibilities to those with whom I have relationships? How do I balance my needs and any impact my actions may have on them? Am I willing to accept the consequences of my actions? Am I willing to amend my behaviour in future to reflect any detrimental impact of my actions on others? In these muddled times, full of fear and anxieties, being able to think clearly, to make informed choices and decisions seems ever more urgent and necessary. Understanding that we are all connected in multi-lateral and multi-dimensional ways, and to have the critical means to make assessments that acknowledge this instinctively, is like a ray of sunlight cutting through the gloom. This entry was posted in Propositions and tagged culpability, obligation, relationships, responsibility, trust on March 20, 2017 by gileslane. Back in the summer of 2014 I devised a simple paper-based tool to help brain injury survivors map their rehabilitation journeys through a gentle creative process. It was part of the work I did for the Movement Science Research group at Oxford Brooke’s University – helping them to understand how to create a patient-centric digital rehabilitation monitoring tool. Having tested it successfully with a group of brain injury survivors in a workshop at Headway Oxford, it was frustrating not to be able to find a way to develop my ideas into a simple, low cost and flexible tool that could be used by brain injury survivors to periodically record their experiences of rehabilitation. 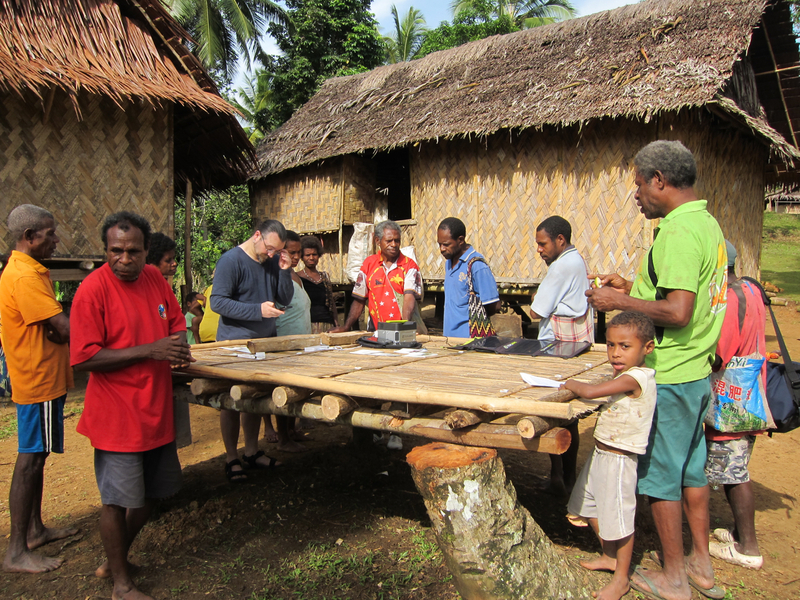 Since then I have been mostly engaged on a project co-designing a simple method and tools (based around bookleteer.com) for documenting Traditional Knowledge with villagers living in the jungle in Papua New Guinea, as well as with my work on data manifestation. As the notebooks for documenting knowledge have evolved, I have seen how they enable people to capture things that they value in ways that help them communicate and share that value further. Reflecting on this over the past few months, it made sense to think about adapting the ideas for the rehab journey tool into a booklet – utilising the simplicity, low cost and ease of use of the bookleteer format, something requiring no immediate investment beyond my time. I was also inspired to do this having seen the excellent Patient booklet co-created by Grace Tillyard as part of her Breast Cancer Awareness project in Haiti. I have been providing a small bit of advice to Grace over the past year and half as she developed her programme, and we had talked about using the bookleteer booklet format as a simple way for people to record their experience of cancer treatment and recovery, as well as providing them with information about the process and possible outcomes. Her use of bookleteer to create a powerful tool that can be used effectively in the complex socio-economic environment of a developing country is truly inspiring. 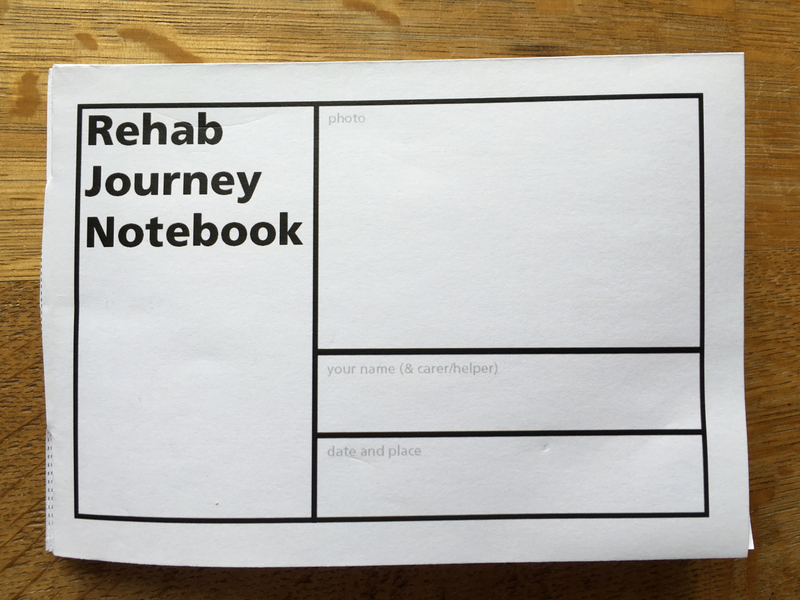 Having discussed my idea with my friend and colleague David Sinden, who co-facilitated one of the workshops in Oxford with me for the TBI project (and who has himself survived a brain injury), I have now created a draft notebook format to help people record their experiences of the rehabilitation journey. It develops on from the original worksheets, encouraging survivors to use both words and drawing to document how they feel about their journey of rehabilitation in the present moment. The prompts ask for feelings related to time, progress, fluctuation and speed of rehab, as well as an overall mapping of the journey itself. As with the notebooks for documenting Traditional Knowledge, I felt that it was important for people to be able to personalise their notebooks by putting a photo on the front cover. This might also serve as a visual reminder of how someone was feeling at the time, as well as how they look (or, for instance, include the face of someone who might be helping them fill out the book, such as a carer or friend). This can be easily done using the same sort of low cost kit we use when in the jungle of PNG – a basic cameraphone and Zink photo printer (e.g. the Polaroid Zip printer or Snap camera/printer). What might the benefit be? When I ran the rehab journey mapping workshop with five brain injury survivors at Oxford Headway in August 2014, they all became very invested in the process and were vocal in expressing their enjoyment of the task. It was highly social, with a lot of mutual support (especially in remembering things for each other) and free-flowing conversation which in turn provoked considerable self-reflection. I acted as the scribe for one of the survivors, assisting with writing and drawing for her. At the end of the workshop she thanked me and said that this exercise had been the first time anyone had sat down with her and listened to her describe her experiences since she had suffered a stroke about 12 years before. I asked the group if they thought it would be worth doing the exercise again, perhaps on a fairly regular basis (such as two or three time a year). They all agreed that it would be worthwhile, not least because it would give them a sense of how their feelings about their rehab journey change over time and this would give them a way to recall how they have felt at different times. It is this aspect of self-observation that seems to hold a great deal of value in the process – not just for personal reflection, but also when discussing an ongoing rehab journey with the clinicians, physicians and other professionals and carers who are supporting survivors. Building up a collection of these observations over time could help reveal patterns that often evade us as we live in the moment. They are a form of data that could be useful for longitudinal analyses of the changes and adaptations experienced by people over prolonged periods of rehabilitation. They offer the potential to collect and collate rich, qualitative information about how rehab is experienced by the survivor themself which could enhance other quantitative data already being collected as part of ongoing care and health management. The draft notebook is available for anyone to try out in two sizes: Small (A6) and Large (A5). This is just a first step and is in need of feedback to both be improved, and built upon – as there are undoubtedly other ways and tools which could add to this. David and I will be collaborating on testing and extending the format as well as devising a practical process or methodology for both health professionals and peer groups of people experiencing rehabilitation to use it. We hope to have more news about this in the Autumn. This entry was posted in Propositions and tagged brain injury, engagement, patient perspective, public authoring, rehab journey, rehabilitation, TBI, traumatic brain injury on July 13, 2016 by gileslane. Earlier this year I was shortlisted for a residency in Lincoln as part of a project celebrating the 800th anniversary of the Magna Carta. My proposal (“Lincoln Debates“) was to work with young people in the city to re-evaluate the state of our society and to bring their voices concretely in to discussions of where we go next. I proposed to engage people in gathering and sharing their voices – through collaborative public authoring and the making of material artefacts, much as I do in my work with indigenous communities in Papua New Guinea and my work with data manifestation. Embedding their concerns and aspirations for civic empowerment within the fabric of the city through events and with physical, digital and other media I hoped to devise a project that could resonate for future generations and inspire in them a continual engagement with power, rights, obligations and responsibilities. My project title alluded specifically to the debates held in October 1647 at St Mary’s Church, Putney between the representatives (“Agitators/New Agents”) of the rank and file of the New Model Army, and the Army Grandees (Oliver Cromwell, Henry Ireton etc). The debates were part of a proposed settlement towards the end of the English Civil Wars to determine a new future for England (and by implication Scotland, Wales and Ireland). The men of the army had developed their own manifesto, which would later become a manifesto for a proto-socially democratic constitution for England – An Agreement of the Free People of England. Their demands were essentially communitarian and advocated for much of what we would now recognise as the basis of a functioning democracy, but where there would be no inherited privilege (thus ‘levelling’ each person’s status). The Debates were ultimately unsuccessful, but the discussions that took place and the manifestos that resulted became the inspiration for future milestones in our own and other country’s path to freedom and democracy. As we lurch forwards into a new time of uncertainty and division in this country, it seems to me that we could do with more such debates and proposals – not merely as an exercise in creative agency, but vitally as a positive beacon for the future of our country, or countries, our identity and our aspirations to do good in the world. What would it take to organise some events that draw inspiration from the Levellers of 1647 and strive to propose a new social contract founded on equity, compassion, responsibility, empathy and agency? Last year I published a series of books that brought together key texts that derive from Magna Carta and the Charter of the Forest – spanning 900 years they represent a stunning legacy of hope against oppression, subjugation and exploitation. Now is the time to start adding to that legacy with something new. This entry was posted in Propositions and tagged Charter of the Forest, embodying data, Levellers, Magna Carta, public authoring, Putney Debates on June 28, 2016 by gileslane. This statement of my current thinking on the topics of agency, data and quantum computing was originally presented to the Human Centred Computing research group at the University of Oxford on October 1st 2015. The group, with whom I have been developing a dialogue since Spring 2014, is led by Professor Marina Jirotka and has a particular focus on Responsible Research and Innovation. They are involved in embedding RRI into NQIT – the Networked Quantum Information Technologies Hub based at Oxford. I have made a few changes to the original text inspired by the group’s extremely thoughtful comments and discussion. At the core of all my work and projects over the past 20 years is the theme of agency. By that I mean our ability as humans to act on our own initiative, to make informed decisions and choices. To be willing actors rather than directed subjects in all areas of life. In my experience open and transparent communications are fundamental to such an aspiration, and many of my projects explore ways and means of enabling people to communicate and interact with other people and systems to achieve this. 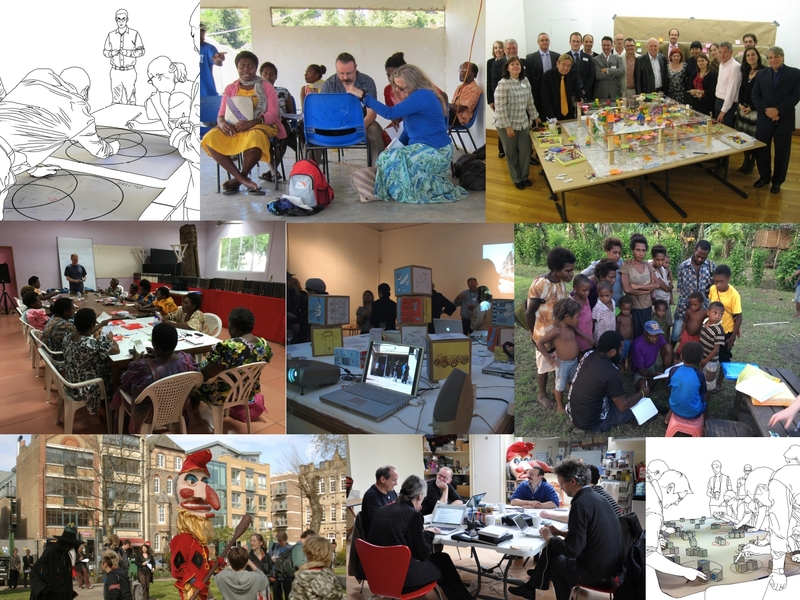 Looking back, there is a clear trajectory in my work which emphasises that systems should engage people and empower them, not seek to condition their experiences or shape their lives. 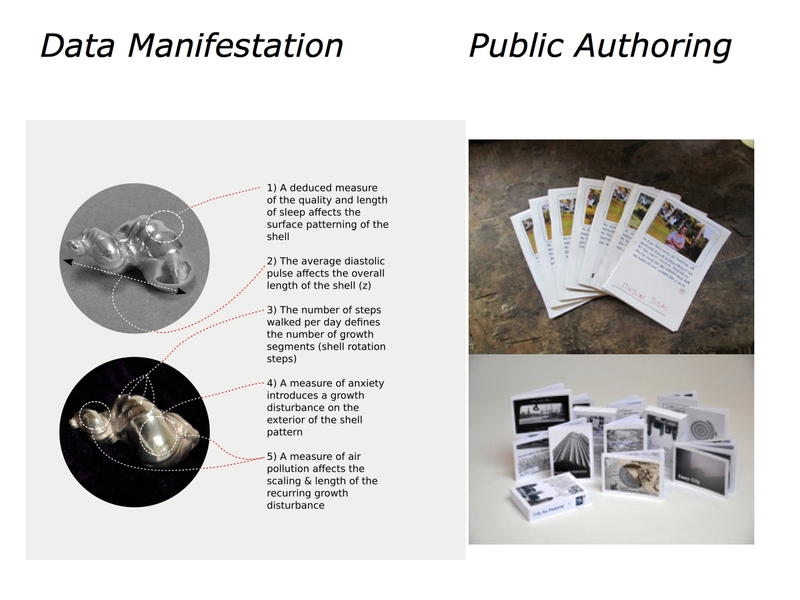 From my work on the convergence of mobile phones with wireless internet and GIS mapping technologies in the early 2000s which has been described as a kind of proto-social media (Urban Tapestries), to experiments with sensors and platforms for citizen science style pollution mapping (Feral Robots & Snout), as well as experiments in data manifestation as a critique of the quantified self meme (Lifestreams). In my opinion, too often the technologies that are deployed across society are not intended to benefit all, but are contingent on bringing benefit to a privileged few – those who build them and those who commission and own the systems being built. I believe that human individualities and different people’s idiosyncracies of learning and understanding are crucial social assets that enrich our collective experiences of life. I want to explore how we can design systems that adapt to these values and incorporate their dynamic into their very fabric. I want to find alternatives to the expanding deployment of systems and technologies that shape and manage behaviour by imposing rigid and inflexible decisions or choices. I believe that we need to question and challenge the mindset that sees the efficiency of algorithms and data-driven inference as the pinnacle of how human societies should be run. One of the ways I think we can begin to revolutionise our relationship to data is by bridging the biological and digital. If we can design ways to utilise the whole human sensorium (not just vision and hearing) for sense-making and interpretation, then I believe that we can make complex information tangible and appreciable in richer and more nuanced ways. This means departing fundamentally from normative data representations on computer screens. It means embodying them in reciprocally interactive engagements that afford us greater use of our highly developed senses – what I have been calling “data manifestation”. This could allow us to experience data in ways that reveal things we have hitherto not considered possible. It may also reveal contingencies and limitations in what kinds of data are being collected – and may lead us to collect different kinds of data that have perhaps been overlooked. How might we enliven relations between humans and machines so that they can be mutually influential rather than unbalanced in favour of one side or the other? I suspect that the promise of quantum computing, with its multiple states, may offer something along these lines, but only if we, as researchers and designers, have the courage of our imagination to make such a future possible. I have been thinking recently about the nature of entanglement – as far as I can understand it as a lay person not a scientist – and how the highly metaphoric language itself suggests an unintentional or, at least, ambiguous state. If we think about how we use the word ‘entangled’ in everyday situations it is to describe something, or some things, that have become entangled accidentally – without the deliberate decision to do so. I have titled this statement “reciprocally entangled” because I think that the promise of quantum computing is one we must have agency with and choose to engage with, rather than unwittingly becoming caught within. That we might deliberately choose to enmesh ourselves with a system that, like humans, can be more than a cascade of rules and simple on/off decisions, would be a significant revolution in how we decide to run our societies. I think that this idea of ‘unwitting entanglement’ characterises many of the fundamental problems we are experiencing with the so-called Big Data revolution, where we have suddenly begun to find ourselves subject to systems that are ruled by inference and not by balanced judgement. My proposition is that just as we might think that our society and civilisation has become enmeshed in a complex set of interlocking inference systems which define people’s lives in ever more intrusive ways, so might we begin to think of quantum computing – and being reciprocally entangled with such a system – as being closer to the kind of complex and consciousness-driven judgement that previously defined our choices and decisions (since, say, the Enlightenment). More and more, the effects of decisions made by data-driven inference are coming to pervade aspects of our everyday lives. It is not always clear how such systemic decisions are arrived at, but it is undeniable that people are both shaping and having their choices shaped as an affect of the increasing reliance on so-called Big Data systems. A kind of blind self-governance that could so easily tip over into forms of self-censorship, self-privation and self-denial. Such choices are most visible to us on an everyday level in the recommendations we see in internet shopping (“you’ve bought this and might like that”) and what social media systems select to populate our profile feeds (both adverts and posts by our connections). Their use in electronic financial services is widely known of, but little known about – obscured behind a veil of exclusivity, secrecy and the disparities of wealth and power. The role of such systems in health is also increasing, driven as much by attitudes towards risk and liability in the health insurance industry as by advances in medicine, wellbeing and disease prevention. These opaque applications remain worrying precisely because they flow against the transparencies of fairness and democracy that our society has been implementing over the past few centuries. But what if we can rethink how we interact with systems as reciprocal engagements? And what if we were to see them as entangled relationships at the same time? How humans perceive and create meaning is an associative process that is fundamentally different to inference from data. It is an expression of the difference between consciousness and a structured system; and, furthermore, it is more than what is offered by systems that mimic ‘neural nets’. Aesthetics and how we make meaning from artworks gives us a concrete example of how this operates in practice. Aesthetics cannot be taught, but flows from a dynamic interweaving or perhaps an entanglement of our memories and experiences with our physical senses. At each moment of experiencing something in an encounter with an artwork – writing, painting, sculpture, music or performance – we are existing in an entangled moment blending the now with the summation of our conscious sense of self. We are not inferring meaning (as a structured data-driven system might), but actually making meaning from the experience itself. What if we can bridge the digital and biological by utilising the whole human sensorium for sense-making and interpretation – going beyond just vision and hearing? What if we could make complex data tangible and appreciable to a range of human senses? Embodied and felt instead of just seen and heard. In turn the experiences could be fed back in to data systems as a new set of parameters that could adjust the nature of systems that use the data. This was the theme of my Creativeworks residency with the Computer Science department at Birkbeck in Autumn 2014. 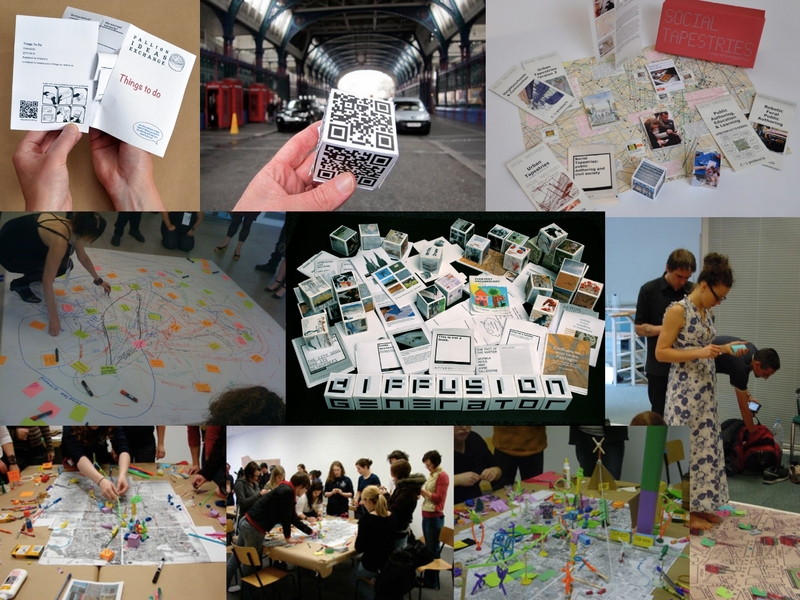 The workshop I devised to help communicate the potential of multisensory expressions of data has been a crucial step in continuing to develop the ideas begun with the Lifestreams collaboration with Philips Research in 2012. What I hope to do next is to embark on a journey of collaboration and discovery to demonstrate the potential for social change that could be unleashed by developing multisensory interactions with the digital data that is increasingly measuring, being analysed and governing our daily lives. Humans have extraordinary sensory capabilities which are not currently being used in how we encounter data – principally through screens (sight), occasionally sound and, rarely, through haptics (touch). I believe that this leaves us impoverished. By expressing digital data in new forms we could unlock entirely new modalities for recording, sharing and understanding how we live our lives : from experiences of illness and rehabilitation via biosensors to how we make sense of the Big Data that now shape and govern our society. I hope to explore this theme along a series of trajectories and to demonstrate – to scientists, technologists, designers and policymakers and to the wider public beyond – how we could create transformational ways for people to engage with and make sense of data. I aim to work collaboratively (with old and new partners) to develop projects and experiments that express digital data in different ways that engage human biological senses other than just sight and hearing – such as touch, smell, taste, balance, temperature, proprioception and time etc. I am particularly keen to engage with researchers in the biological and life sciences (and hybrid fields such as computational biology) to create a bridge between how people interact with and make sense of the biological world around us, and with digital systems. 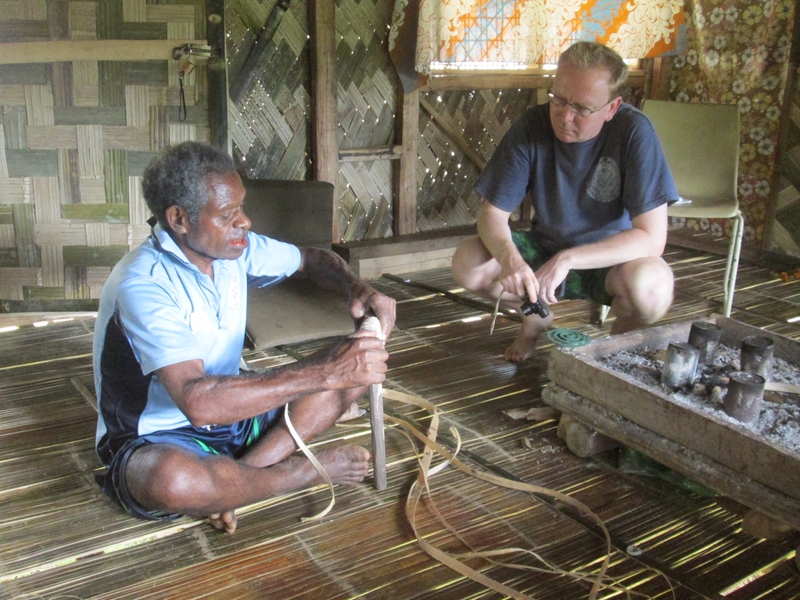 Alongside these concerns I am working with Professor James Leach and a community of indigenous people (from Reite village) living a traditional way of life in the jungle in Madang Province, Papua New Guinea. There we are co-developing a simple hybrid digital/physical toolkit for people to self-document local traditional knowledge of plants, customs, design and productions techniques (TK Reite Notebooks). The tools and techniques we are co-designing there are based on my pioneering work since the late 1990s in hybrid digital/physical publishing. 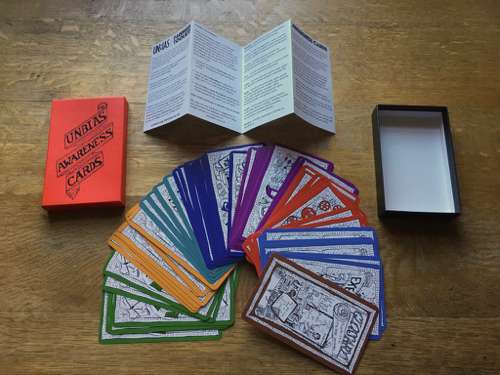 It uses the Diffusion eBook format, a unique paper folding method invented in 1999-2000, as well as the bookleteer.com self-publishing platform which was created and launched in 2009. This is another form of what I have called “public authoring” – making it possible for people to communicate things of value in open and shareable ways. What is clear is that Reite people’s culture doesn’t consider knowledge as a series of static objects – in the Cartesian tradition of Western Knowledge – but as relational. Knowledge is constructed and exists in the relations between humans that hold it, share it and pass it on to future generations. It is always contextual and situational. To me, this establishes a conceptual link with what I have been exploring in my data manifestation work – that how we develop understandings of information and the ways it can be encoded in forms or media is located in the experience of the encounter, and our conscious ability to reweave our experiences in the present with those in our memories of the past. One of the most striking things about this project is the difference between traditional anthropological ethnography and self-documentation that emerges from its results. What people choose to value and document may not necessarily be intelligible to outsiders, or of any interest. This flows against the mainstream of anthropology and ethnography which seeks to observe, understand and explain a culture to others. I feel that my conception of public authoring is akin to the aims of the originators of Mass Observation, who proposed an “anthropology of ourselves” back in the late 1930s. They thought that it was important for ordinary people to document ordinary life, and developed a framework that encouraged people from all walks of life to record and submit reports on things, customs, events and behaviours which they observed. Mass Observation and public authoring are both creative activities that seek an audience beyond their immediate community, yet at the same time they are the outputs of people attempting to record their own world and values for themselves. 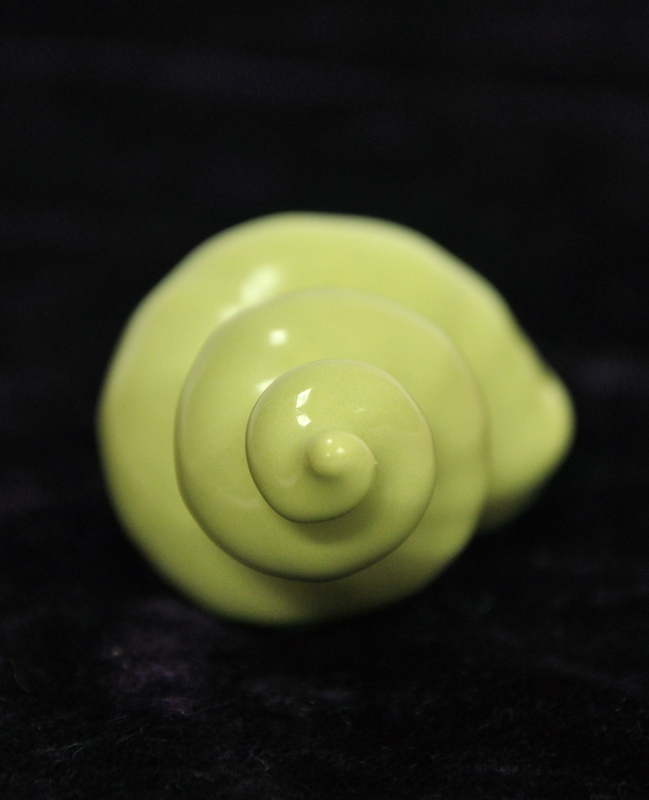 In a similar way, the lifecharms, or data shells, which we created in the Lifestreams project were expressions of data manifested into material form. 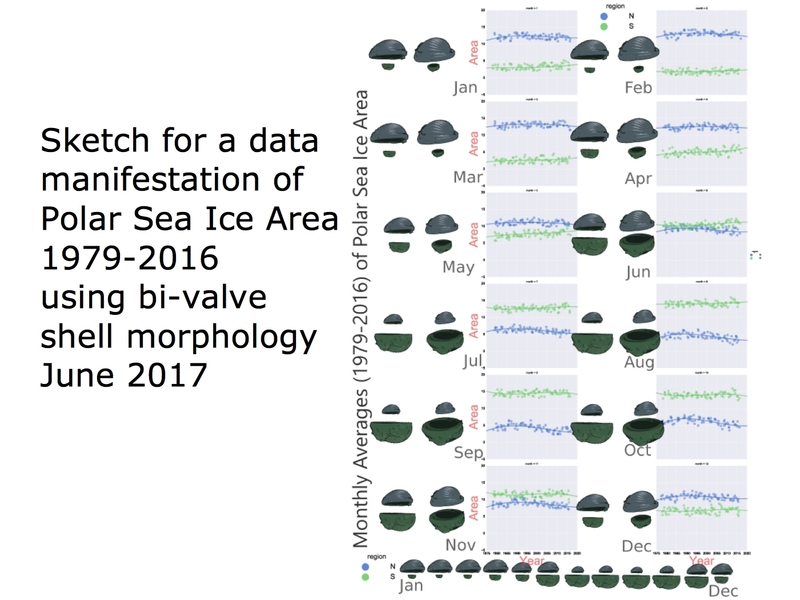 As such the data itself ceased to be directly readable (as it might be in a graph or chart), but was embodied in the actual form and shape of each shell. 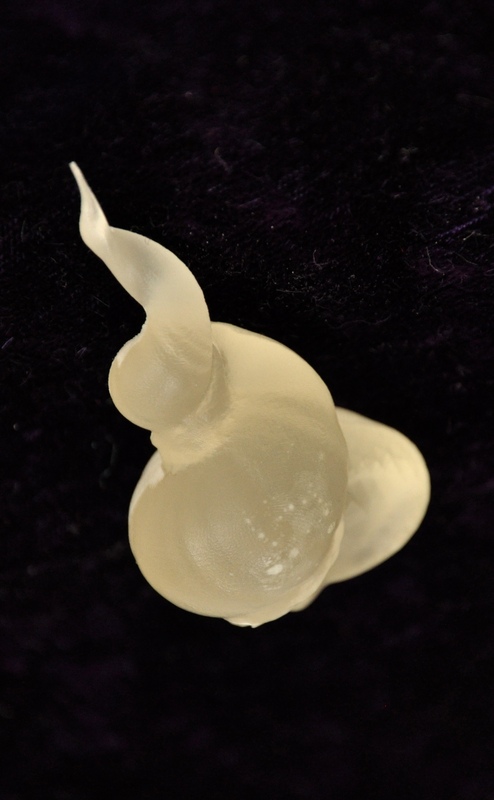 No longer intelligible to anyone but the person whose data had been the source of the shell’s growth pattern, the lifecharms signify something without revealing exactly what. As a type of self-documentation this translation of digital data collected from biosensors and life-tracking devices begins to mirror the output of our public authoring notebooks of Reite village : fascinating to outsiders, yet unintelligible if not directly explained by someone within the community that generated them. Open to interpretation, inspirational and allusive, but never didactic. Where knowledge and communication are reciprocally entangled, not inferred. The trajectory I sketched at the beginning of this statement – linking human agency as the core of many projects I’ve led – now connects all these thoughts on the nature of what kind of future we want to build. Is it to be one where we devise systems to manage our societies that are responsive and dynamically adapt to our interactions with them, or a future where our decisions and choices are increasing defined and shaped by algorithms designed by and for the benefit of an ever more remote elite? This entry was posted in Propositions and tagged agency, data manifestation, embodying data, engagement, participation, public authoring, quantum computing on October 3, 2015 by gileslane.